Animal Wildlife | Sponge | Sponges are very slow-moving animals that are found across the sea floor.Although many sponges actually move less than a millimetre a day,some adult sponges are actually sessile,which means that they are fixed onto something and do not move at all.Sponges are thought to have evolved around 500 million years ago,and today there are more than 5,000 known species of sponge with another 5,000 species thought to have not yet been discovered.Most sponges live in a salt water environment,attached to objects on the sea floor.Less than 200 sponge species inhabit freshwater habitats. 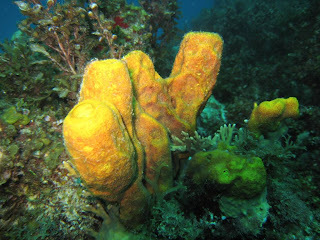 The body of the sponge is made up of a jelly-like substance that is supported by a thin layer of cells on either side. The body of the sponge contain thousands of pores which allow water to keep flowing through it. 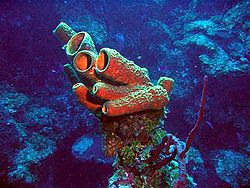 Sponges have no organs, and obtain their nutrition from the water that is continuously flowing through them. Sponges can be found in variety of different sizes and shapes tubes, fans, cups, cones and blobs. 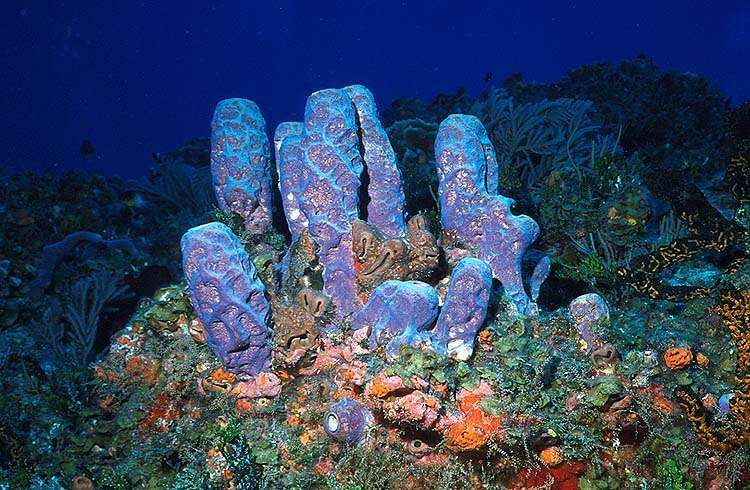 Sponges are omnivorous animals that obtain their nutrition from the food particles in the water. Sponges primarily eat bacteria, phytoplankton and bits out of the water. A number of sponge species are known to have a more carnivorous diet, eating small fish and crustaceans on the reefs. 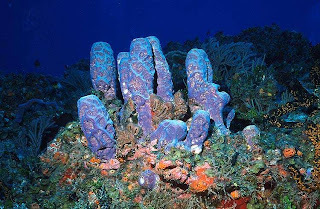 Due to the abundance and variety of sponges, they are preyed upon by many animals. The fact that sponges move so slowly, if at all, means that they cannot avoid being eaten. Sea turtles, crustaceans, fish and echinoderms all prey on sponges. 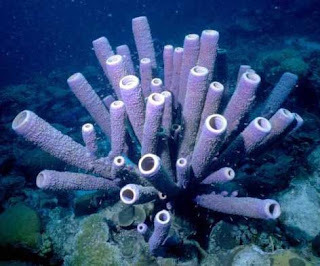 Sponges are hermaphrodites, which means that they have both male and female reproductive organs. Fertilization occurs inside many sponges, and sometimes externally when sperm are released into the water. The tiny sponge larvae are able to move through the water and eventually settle on the sea floor as they get bigger, and begin to move very little.